Rebekah Grace : Practically perfect wand for a little princess magic! Practically perfect wand for a little princess magic! Last week while spending time perusing some "blog awesomeness" I came across this darling craft project and knew I had to invite the amazing Queen Mommy Jenny over to share it with you all. 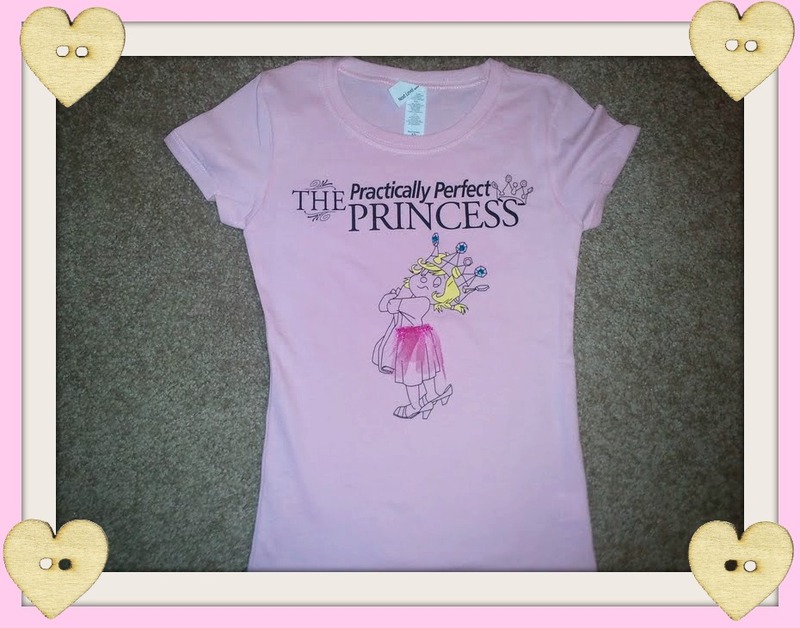 We are so excited to have our first guest post over here at the Practically Perfect Princess. 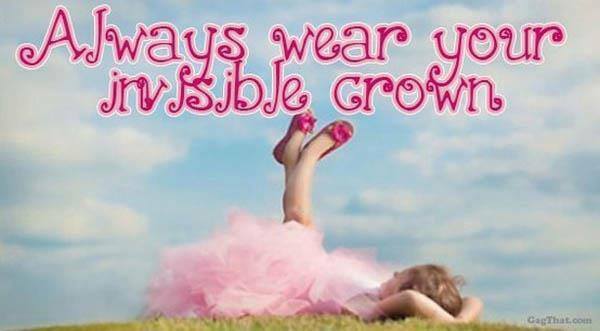 We just know you all are going to want to try it out for your little princesses! Hi there, Queen Mommies and King Daddies! My name is Jenny and I'm the Queen Mommy from The NY Melrose Family. I'm usually sharing diy projects, recipes, organizational and party planning ideas with the help of a sassy assistant. 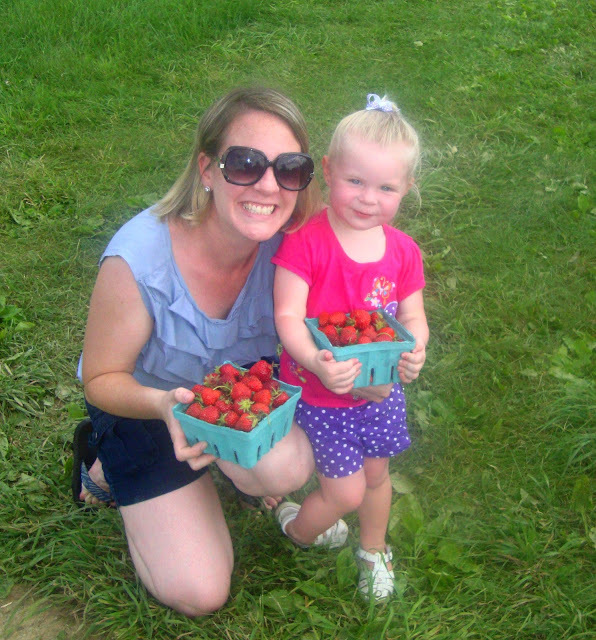 My assistant is my two and half year old daughter, Riley. You might recognize her from the Princess Court of Princess Rebekah Grace. Well, I'm here today to share one of my favorite projects that I've completed because Riley absolutely adores the final product. Riley loves her sweets and anything girly, which makes it fun for this mama. 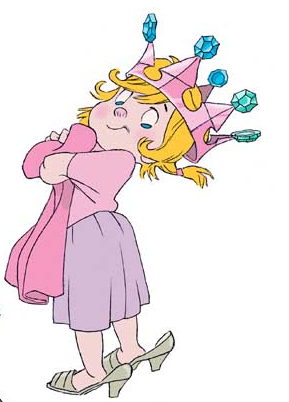 She recently fell in love with the book, Camilla the Cupcake Fairy by Tim Bugbird. I'm actually thinking of having her third birthday party based on the fairy. Yes, her birthday is in December, I'm a planner. What can I say? 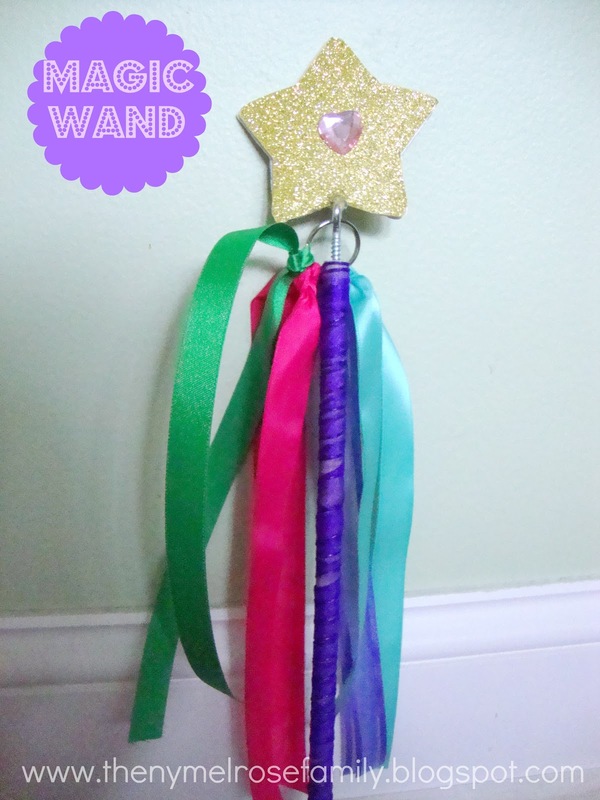 I thought that magic wands would be a great party favor for during and after her party, but I needed to have a wand that looked like Camilla's so off to Hobby Lobby we went. We picked up small wooden stars, gold glitter scrapbook paper, pink and red press on glitter hearts, wooden dowels, key rings and eye hooks. The first thing I did was to mod podge the scrapbook paper onto the star so that Riley could help me stick on the glitter hearts. There's a heart on the back as well. I pre-drilled a short hole into the dowel to screw the eye hook in. I then put the key chain through the eye hook. 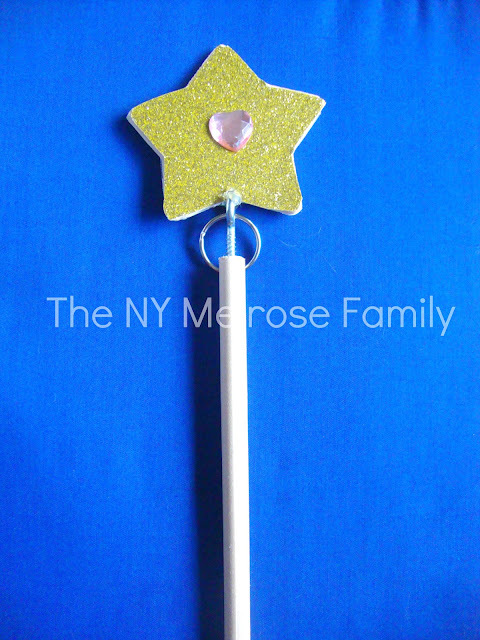 I ended up hot gluing the star onto the top of the eye hook. Riley managed to knock the star off within the first five minutes of it being completed so I really hot glued the you know what out of the star onto the eye hook. It's still attached today and we made this over a week ago. The next part is the ribbons. 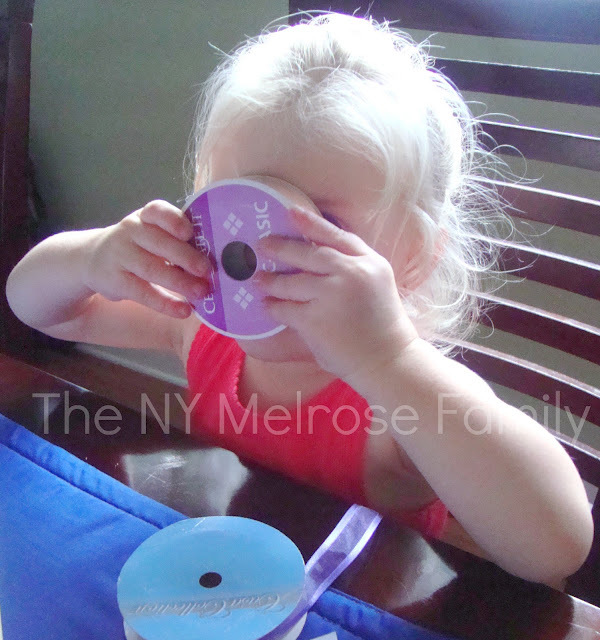 My assistant clearly thought the ribbon served better as a telescope! I tied four different colors of ribbon onto the key chain and wrapped another one around the dowel. The ribbon on the dowel I hot glued down at the top and bottom. The ribbon on the key chain I simply tied into a knot. Someone looks happy, right? Stop on over to The NY Melrose Family any time. I'd love for you to join our weekly link party on Wednesdays for Whimsy Wednesdays. You can also find me on Twitter and Facebook.